I’ve just finished another painting in the “In Our Veins” series. 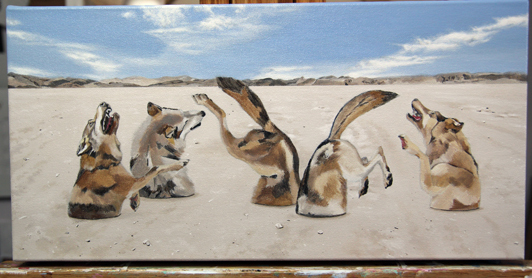 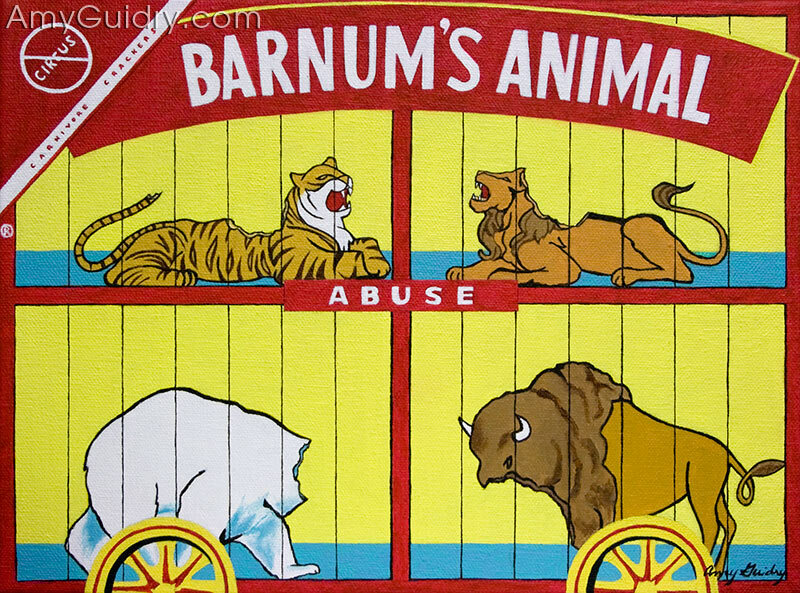 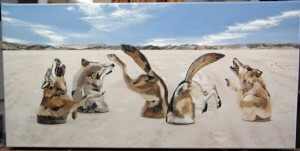 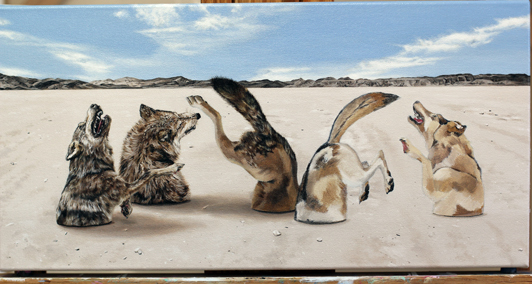 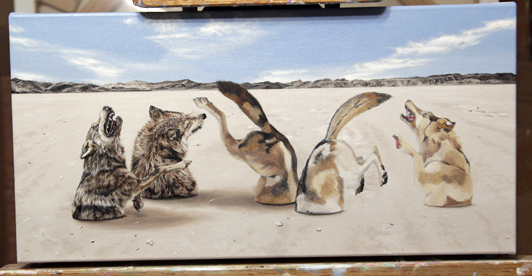 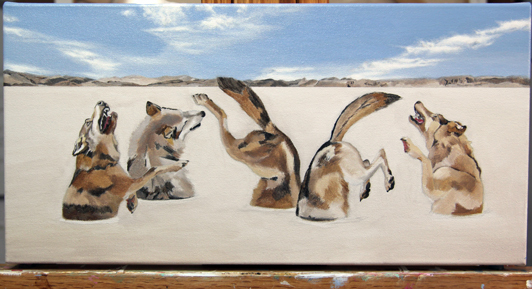 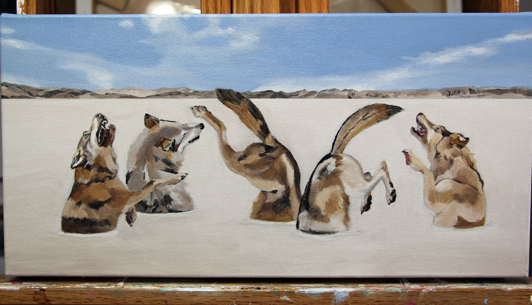 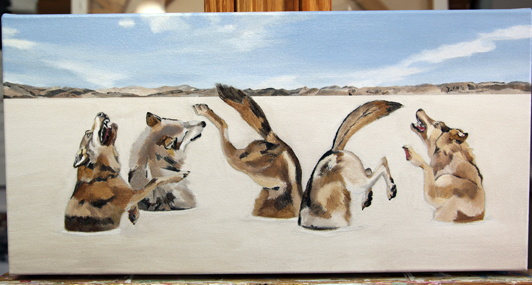 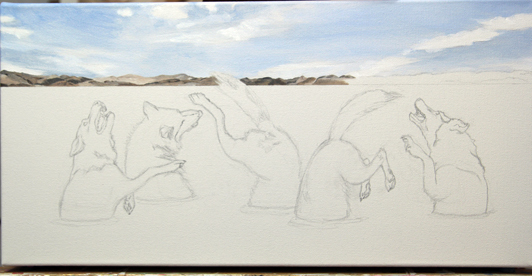 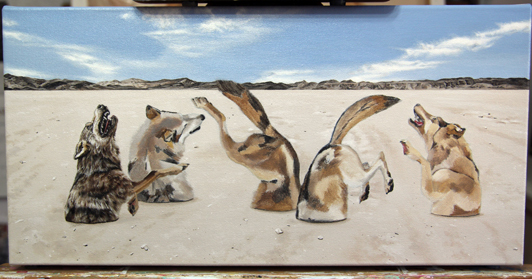 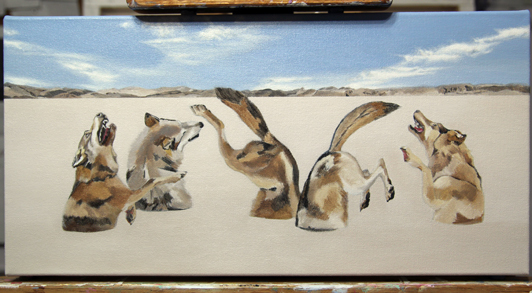 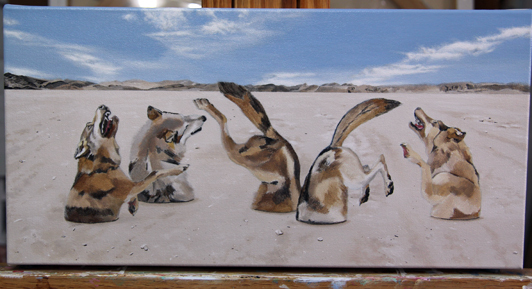 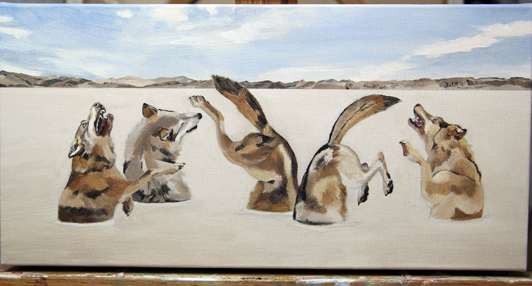 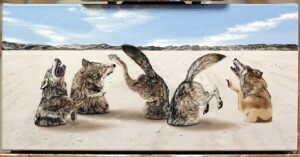 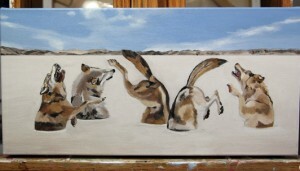 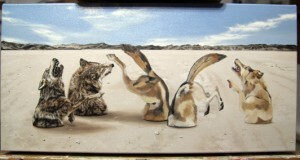 This one is titled “The Pack” and is an acrylic on canvas, 20″ wide by 10″ high. 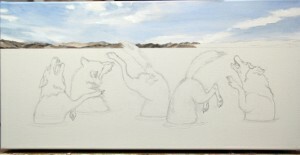 I took “some” photos of the painting as I was working on it from start to finish. 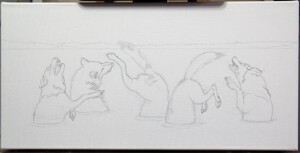 Going through them, I just think “UGH!” I’m happy with the end result, but I have to admit that my back, neck, and shoulders took a beating after pouring long hours into this one. 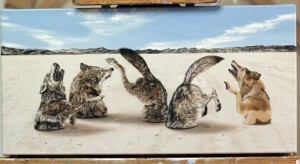 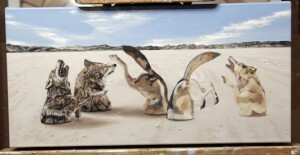 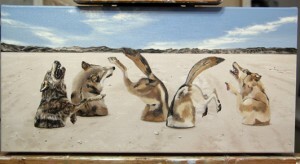 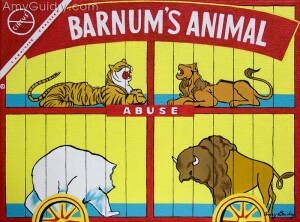 For a closer look at the finished piece, visit this direct link: AmyGuidry.com-The Pack. Initial rough layer of paint for "The Pack"
Working on wolf #1, adding another layer of paint, then cleaning up details as I go- hair, eyes, mouth, etc.